Today, we expect our software to work wherever we are and in any mobile or desktop device we use. As a result, IT organizations have to follow several different steps to meet these customer demands. DevOps aims to do just that by allowing organizations to produce and release high quality code better and faster. The ultimate goal of DevOps is to build trust and reduce the friction between dev and ops by having proper collaboration and communication. Is it meeting our expectation of the problem it was supposed to fix? Using that feedback we can improve the product itself. If using an agile development methodology, we can use that feedback to plan and prioritize the work for the next sprint. This can be explained using an example. There was a software company that follows the agile development methodology and end of each day they had a new build/ integration release which was ready for the QA team to be tested. It took three days for the QA team to provision the environment, deploy the application, run all the test cases and get the test results back to the developers. The developers will keep on coding on top of the code that was in the latest build, and by any chance if the QA team comes back with a set of bug reports throughout the three days the developers has already coded on top of the buggy code,. Fixing the bug might include refactoring the code that has been implemented throughout the three days. If we can reduce the testing cycle from three days to a few hours we can reduce the number of rework. Some of the philosophies and principles used in DevOps come from the lean thinking. Idea of lean thinking is to constantly improve your process. It led to the agile movement and the Toyota way of doing manufacturing in factories. 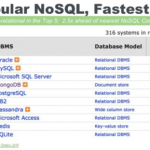 And now it’s leading to improve software delivery process which we call DevOps. What you need to look at is your entire eco system. How wide you go or how narrow you go depends upon what you’re looking at. If you’re looking at the project, then you’re just looking at the ecosystem of the project, if you’re looking at the program then you’re looking at the program’s perspective. When you look at where your enhancement or new feature request comes from it’s probably from a line of business out there such as marketing people or who own the product. These people becomes the key stakeholders when adopting DevOps. The actual stakeholders will be the developers, build engineers, QA team, integration testers, user testers and operation people. And each of these becomes a different environment. We need to look at how hand offs happen from people to people and how the deliver happens on software and configuration changes happen from one environment to the next. The main focus over here is the continuous delivery process. And what we need to understand is not just the physical aspect of deploying the software from one environment to the next but also the collaboration and the hand off which happens between the stakeholders all the way to the end. This collaboration, building of trust, having proper communication between the stakeholders and making sure they all on the same page, making sure they have access to the same assets, same data is a very critical part of DevOps. Where do you start? You need to take a holistic view of all of this and you decide where you biggest pain points are. Then you need to address the issues and make sure to improve the efficiency and communication and build trust between the teams. Basically DevOps figures on top of the agile methodology and thus, it can be considered as extending agile programming. It recommends several agile principles such as collaboration, iterative development, and modular programming which is breaking larger code bases into smaller manageable features. Because of that it is easier to detect the code defects in early stages. DevOps creates a culture among developers and operations that can establish a successful communication and collaboration in-between the teams. For an example, verbal communications rather than handwritten notes or email make sure the recipient entirely realizes the meaning and intent behind critical information. This becomes even more important when information transfer within and between departments. Direct information-pooling is vital to preventing miscommunications that can have serious or even fatal concerns .So they can discuss about the important and considerable points among code and service. The teams can also share new ideas, can increase the speed of moving from engineering code into executable production code. It usually takes about 3 to 6 months from requirements to release. But it is now reduced to a daily, if not hourly, release-build cycle. Because of increased number of releases, we can meet the customer expectations. 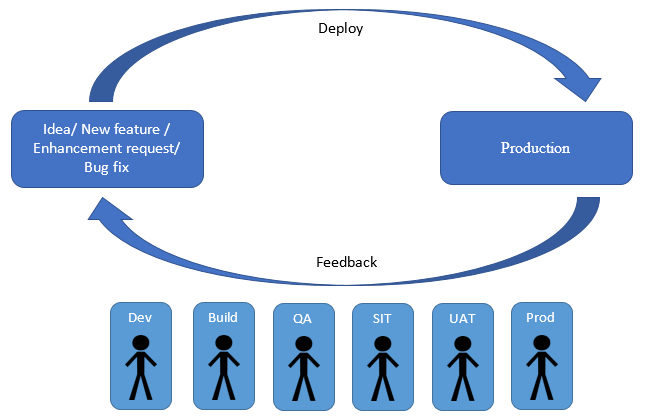 Deployment is the major role of the Software Development life cycle. The benefits gained from faster development and deployment can be nullified because of failures in deployment. However, software, when developed using a DevOps mindset, focuses on the operational perspective as well. So when combined with improved defect detection, DevOps can considerably decreases the number of pre and post-deployment issues and it results in fewer rollbacks. DevOps is responsible of continuous integration and deployments. So tools has helped to share tasks and information, automate the processes, cutting down on time to deploy and finally helping organizations to get closer to the continuous integration and deployment standards. There are two possible models used in DevOps tools, they are purely script-based model and container model. Linux users who are more familiar working with commands goes ahead with the tools that use the script based model. 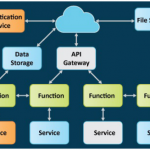 Commercial configuration and management-automation products fit into the script based model. A few tools based on this model are Chef (an open source model), Microsoft’s Windows Azure PowerShell CmdLets and Amazon WebServices’ CloudFormation. The container model is based on building an abstraction of the application into what we might call a container or an object .The configuration engine then processes this container to issue commands. 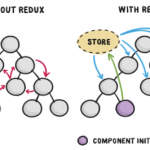 It allows you to “build up a set of reusable charms that describe application deployment and lifecycle”. This can be run as and when needed, which is of great benefit to cloud providers especially. When selecting the right tool, it’s necessary to consider the company core environment and current strategies. Because using the incorrect tool can result in failure. But there is no one tool that fits all of the considerations. There are several tools specific for role based such as Continuous Integration and Configuration management, Continuous Delivery, Continuous Testing, and Continuous Monitoring. 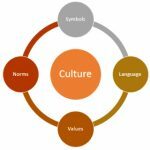 Culture is the combination of ideas and the behaviors and it is hard to identify the standard collection of requirements. There are several tools available in the industry, and it is comparably easier to select a tool which is matching according to our requirements. The main challenge is, it is difficult to change the employees’ traditional behaviors when new concepts are been introduced. DevOps is about continuous change with reconfiguring an organization’s core culture. Most of end users rely on a palette of tools to get their job done. As many are open source or offer initial trial versions, unsanctioned tools can be adopted without any internal mistake – leading to major issues down the road. Business users believe everything can be solved with an app when making matters worse but that is often untrue. When selecting a tool it is recommendable to highly concern about the security as well. Even though if there has a suitable app, it must be properly integrated to back-end systems .DevOps must balance tool delegation and management early on. When business users want to use the latest tools, that is a tall order for operations. With DevOps tooling and configuration management, it is a confusion to select tools do what and how they play with each other. Because tools must be compatible with existing solutions and technologies used by the company. This is becoming increasingly complex with the rise of hybrid environments. New Hybrid environments include tools like Amazon, Google, PaaS computer service, and SaaS Business applications. Somehow, DevOps must ensure that they all work well together and deliver a seamless experience for the business user.